Well, you said it, Nashville. According to The Scene’s annual Readers Poll, we’re one of the top 3 places to buy a guy a gift. Given this recent delivery of Good & Fair boxers, we’d have to agree. As you know, we’ve been trying to save the world with the clothes we wear (remember our FEED bags and scarves? 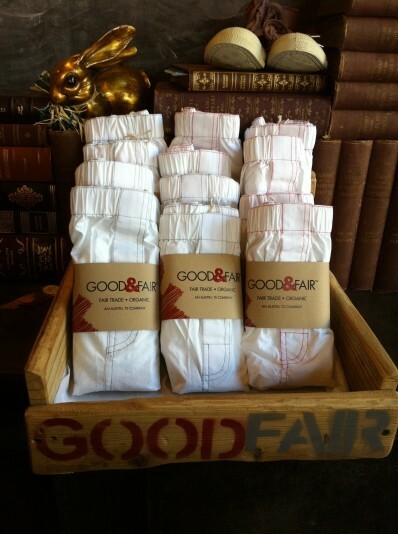 ), and, as such, these boxers are produced by fair trade and with organic cotton. We have a limited supply of them, so we suggest putting together a little holiday pack now (perhaps in a FEED bag? Or coupled with a Good & Fair organic cotton tee?). And don’t worry, ladies; we’re keeping you good & fair, too. Just click on More Pictures. The Nashville Scene Readers Poll Results have come out. Need we say more? 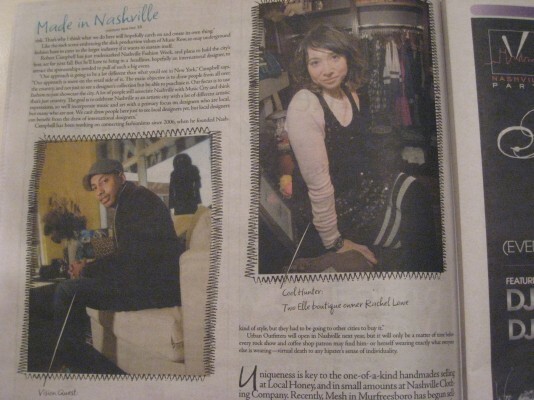 This week’s issue of the Scene devoted an entire “Made in Nashville” section to local designers and fashionistas. Rachel and two elle extended family member Robert Campbell were featured. Amanda and her own line, Valentine Valentine, basically dominated the article, too! In February we were in Lucky, and now we’ve gone national again. 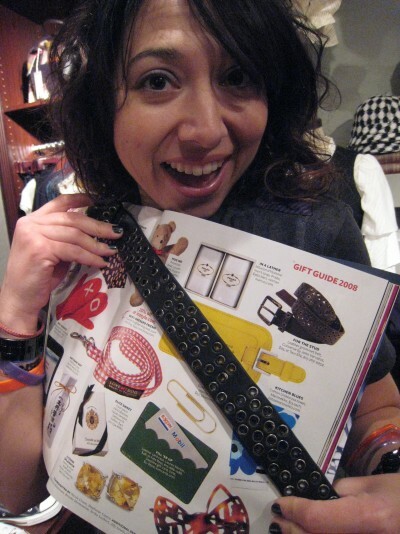 This month’s InStyle features us and our Converse by John Varvatos leather grommet belt as a perfect gift for your “stud.” Call us to order one!